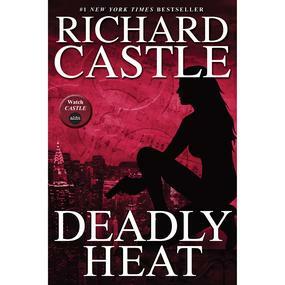 Deadly Heat is another in the series of books by the TV character Richard Castle of Castle fame. Having watched the TV series I find reading the books like going over old episodes of the show. Which is nice as I think they have stopped making new episodes now. Whilst I’m sure there are better crime fiction stories on the market I find the Detective Heat series of books fun and quick to read. There are a few twists and turns and I don’t think you need to have seen the TV show in order to read the book. This particular book centres around the death of Detective Heat’s mother and her search for the people behind it. There are twists and turns along the way but will she find the culprit and bring them to justice in the end? You’ll have to read the book for yourself to find out.